Plug an play: professional service which include the creation of the websites with a professional hosting, mail boxes, it’s a fast and easy to use. Designed to be used on all mobile device. 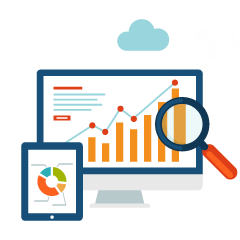 Support your web project and make it “traceable” on search engines thanks to its design and realization committed to web experts. Your website can be indexed and easily found by web users thanks to the applied techniques. Your website suitable for any device. It’s a responsive design website that permits a simple and pleasurable browsing on any device adapting content and images to the screen’s dimension and shape so that everything gets displayed in the best way for the user. Involve the entire web audience with a professinal website to be indexed on search engines. Let every user find you easily and publish all the latest news regarding your business and presenting it to the web audience using the latest technologies. Our experts team is ready to follow and guide you and your project towards success.